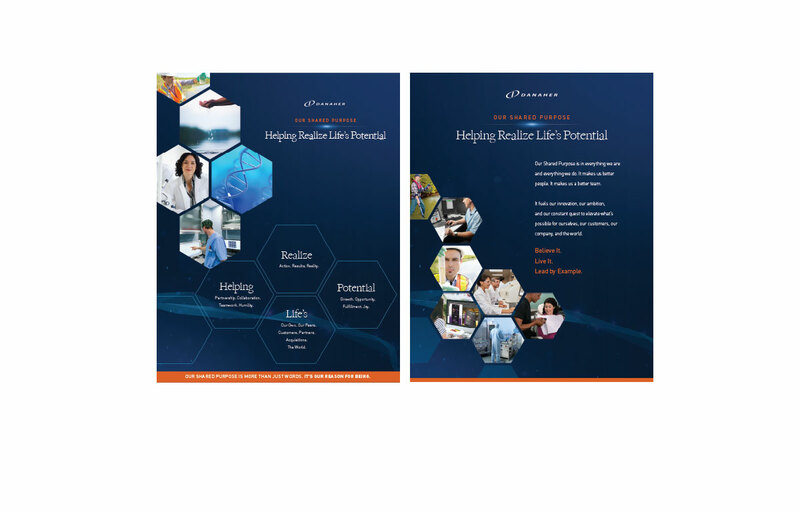 Rolling out a multi-phased strategy to inform, inspire and activate 59,000 employees worldwide. 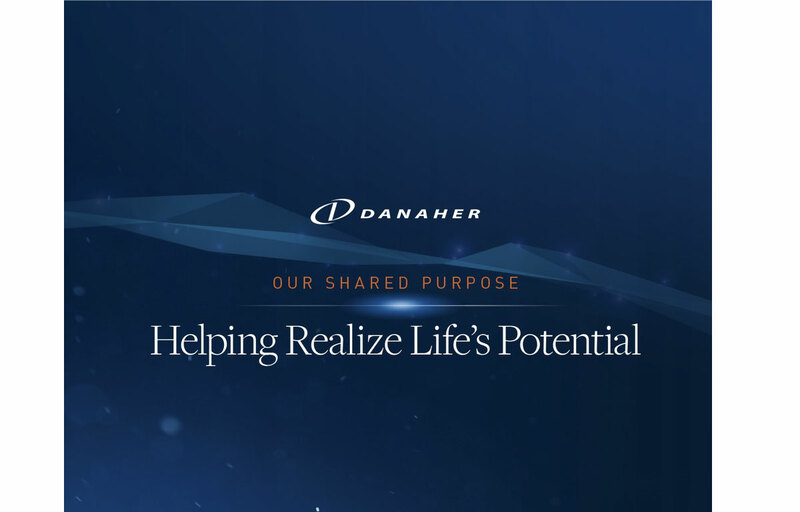 Danaher is a Fortune 250 science and technology holding company committed to helping customers solve complex challenges and improving the quality of life around the world. In 2015 Danaher announced plans to move a large group of its operating companies under the leadership of a new holding company, Fortive. 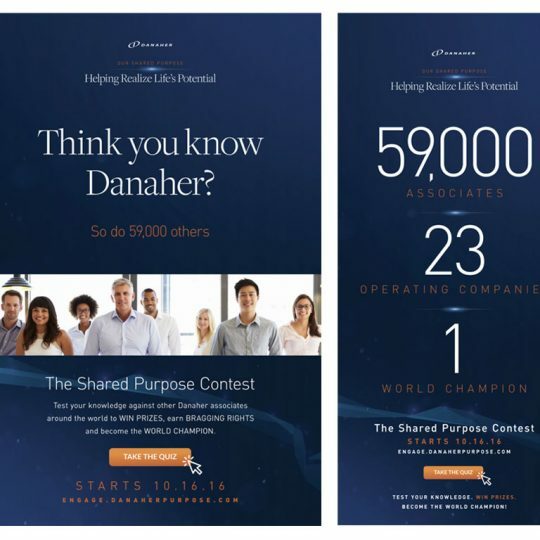 With this major organizational shift under way, Danaher’s leadership team saw an opportunity to strengthen its associates’ connection to the company through the communication of a Shared Purpose—helping associates across the globe align their work to the company’s long-term strategic priorities. 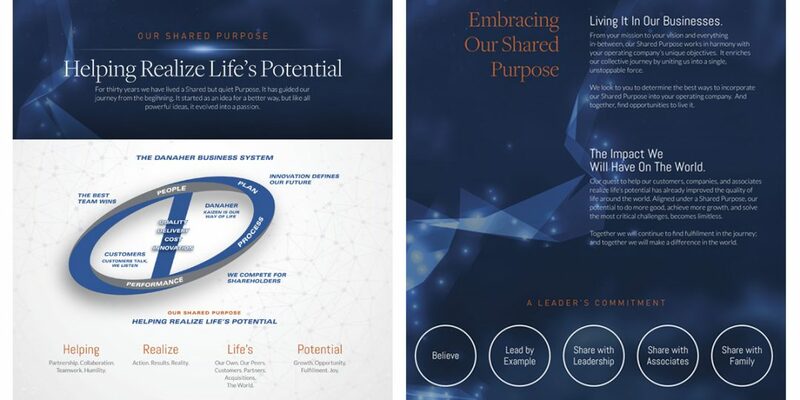 Armed with only the purpose statement—“Helping Realize Life’s Potential”—Vignette was tasked with developing a strategic plan to introduce the Shared Purpose to all 59,000 Danaher associates across the globe, and then to execute a campaign to empower all associates to internalize it, believe it, and live it through leading by example. Audience Segmentation: We created a segmentation model to help us target communications based on role, geography and learning preference. 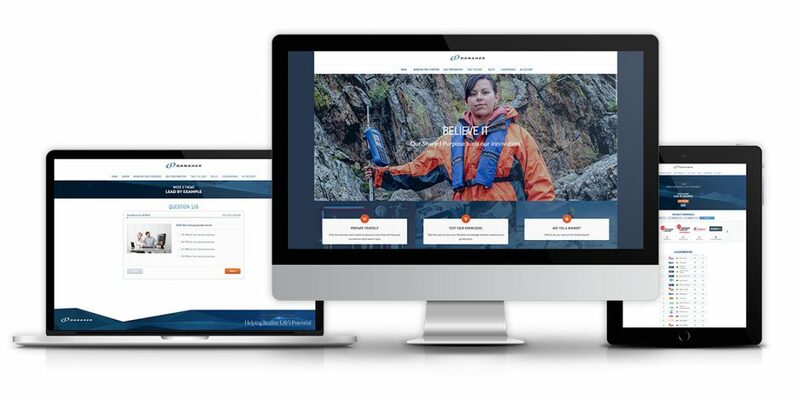 Messaging Strategy: We developed key message points, and their hierarchy that addressed an employee-centric tone of voice and was used to write all copy across the three phases of the campaign. The message points evolved across the phases of the campaign to help drive the emotion and action in each associate. Employer-Branded Style Guide: We translated the Danaher brand guidelines into an elevated, employer-branded style guide that addresses primary and secondary color palettes, typography, graphic and infographic styles and a vision for new employee-centric photography styles. Calendar and Cadence: We created a tactical plan guided by a calendar to manage the campaign, capturing details on everything from planning and execution, material creation, and release, to campaign management through post-survey analysis. Measurement and Optimization: We used surveys to measure pre-and post- effectiveness of communications, employee engagement and overall campaign satisfaction. 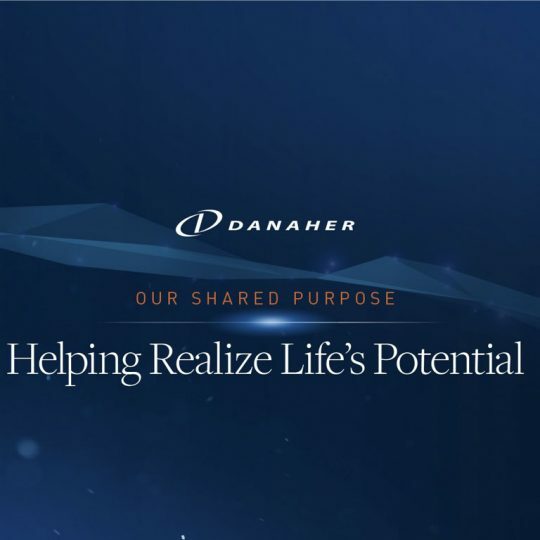 Introducing the Shared Purpose: In February 2016 Danaher CEO Tom Joyce introduced the Shared Purpose to 200 global leaders across operating companies at a leadership conference. Supporting Communications Tools: To accompany Tom’s introduction, we created a video (narrated by Tom himself) introducing the Shared Purpose and its context to the business; a two-sided print piece with key information; and a brief toolkit with simple instructions for leaders on creating awareness with their associates. Purpose Activation Leaders: An associate from each operating company was assigned the role of Purpose Activation Leader, participating in monthly meetings to align on campaign planning and execution so they could run their own campaigns at their respective operating company. CEO Email: Tom Joyce sent a few emails to all 59,000 global associates introducing the Shared Purpose. 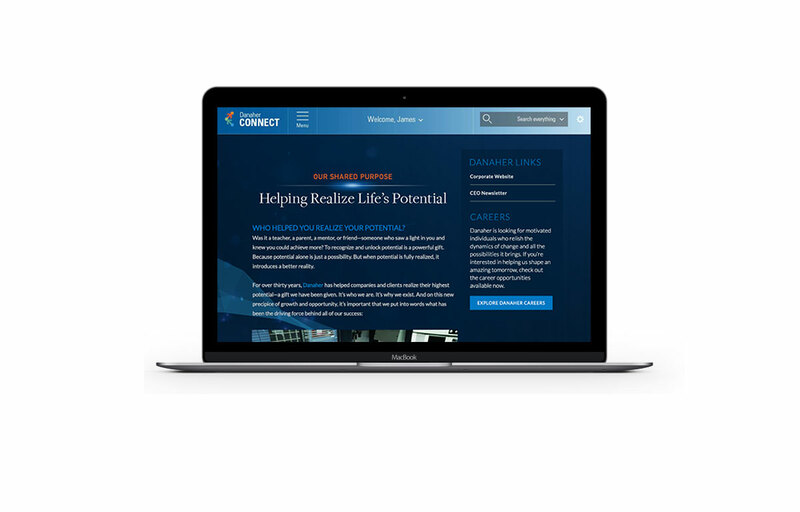 Concurrently we launched the Shared Purpose on Danaher’s intranet. 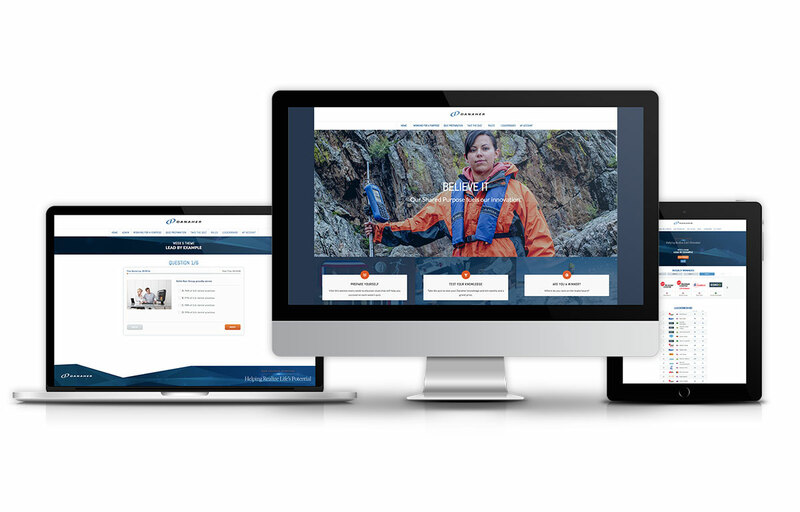 Other operating companies were encouraged to do the same with their own intranet sites. 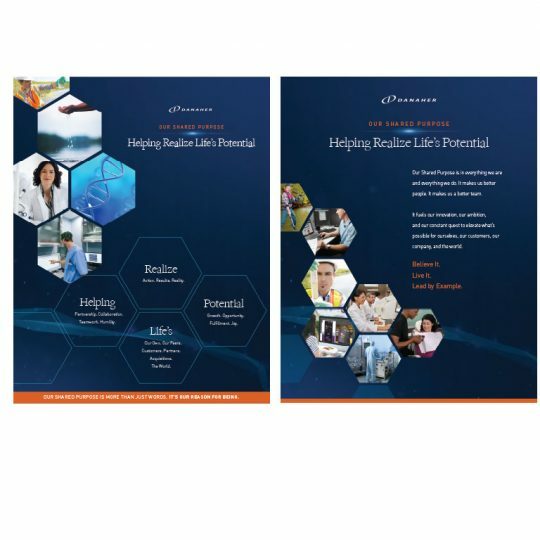 Associate Marketing Materials: To amplify the message, we designed and placed posters on walls across global offices; introduced intranet ads and a stream of email marketing to drive further awareness. Brand Guidelines: We created the Danaher Shared Purpose Brand Guidelines to ensure consistency of message and branding across Danaher and its operating companies. 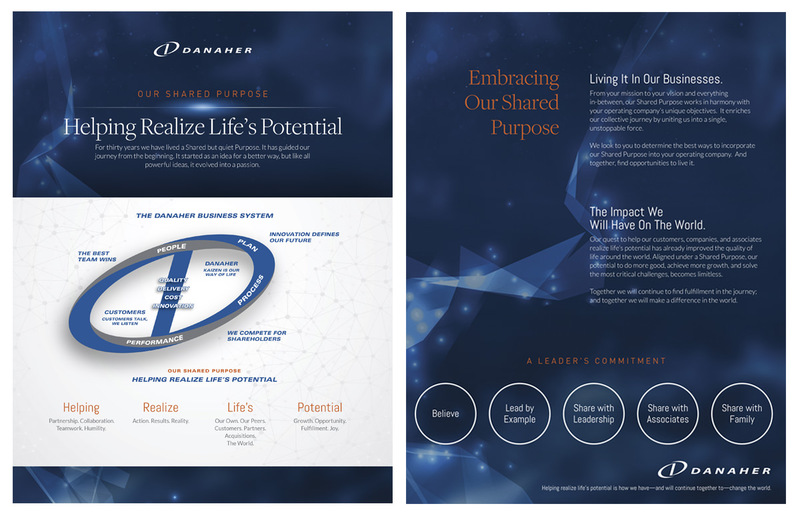 Updated DBS Graphic: The Shared Purpose was added to the Danaher Business System (DBS) graphic—one of the company’s most cherished and popular assets for communicating the company’s values and how it operates. Campaign Training: We facilitated campaign training for all Purpose Activation Leaders via a global webinar. Storytelling: “Working For A Purpose” stories rolled out as a form of internal content marketing, featuring examples of how operating companies were living the Shared Purpose and leading by example. We also launched a new video featuring global leaders talking about their own approach to living the Shared Purpose. Another video featured CEO Tom Joyce telling the story of the DBS graphic, bringing the company’s Shared Purpose, core values, and success metrics together. Workplace Disruptions: Clings on building windows, doors, floors, elevators and walls helped create disruptive energy around campaign messaging. Newsletters featured Shared Purpose-branded content. Microsite and Quiz App: We launched a microsite to serve as the hub of communications for the campaign and to add gamification to the mix—a Shared Purpose branded quiz application enabling global associates to compete with each other over the course of six weeks. Weekly winners were recognized and celebrated, one winner was chosen for a grand prize, and the winning operating company received a generous donation to their chosen charity. User Generated Content: We launched a UGC program to encourage associates to demonstrate how they are living the Shared Purpose. OpCo Rollout Plan: Operating companies will roll out their Shared Purpose campaigns, extending into 2017. The campaign has been running for more than a year with all feedback pointing to an effective communications campaign. 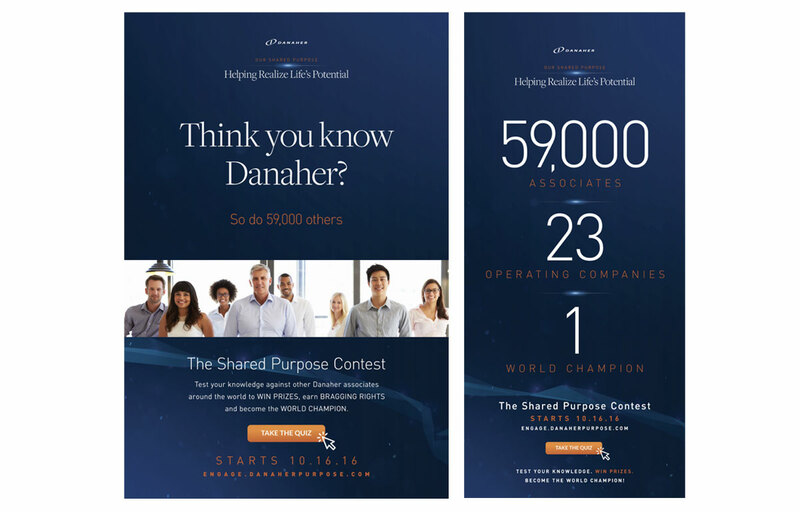 Our efforts contributed to an increase in overall annual employee engagement survey scores and has positively transformed the way Danaher’s HR and communications teams work. 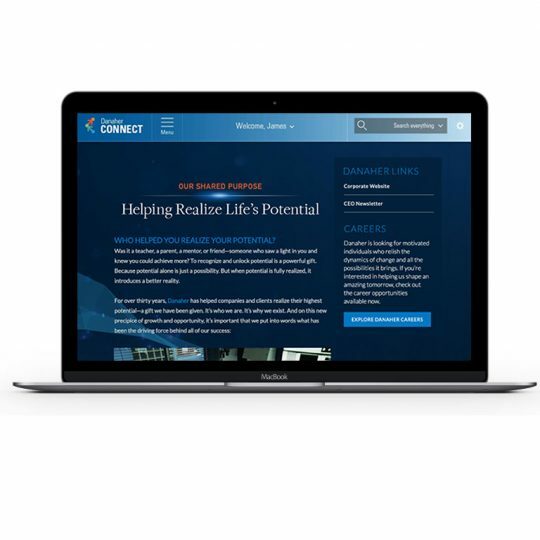 We continue to gather ongoing feedback through monthly calls with operating company Presidents and Purpose Activation Leaders, as well as surveys to determine continued campaign effectiveness and unearth other areas of opportunity.